Sophos Email is a secure email gateway engineered to keep businesses safe from all email threats. It simply stops spam, phishing, malware and data loss and keeps your people productive. And if want to consolidate protection it lets you control email security alongside endpoint, mobile, web, and wireless protection from Sophos Central's single interface. 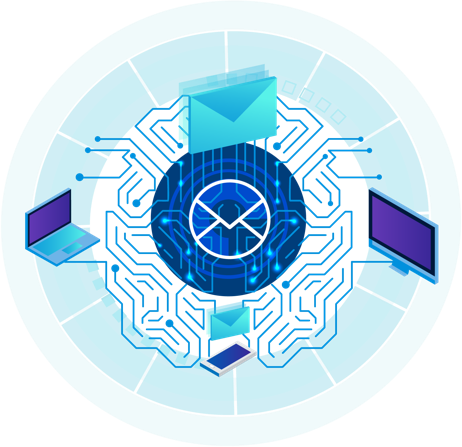 Instant proven protection Sophos Email works right out of the box with our default settings, giving you instant protection for your mailboxes by intercepting all email containing suspicious content, attachments or URLs. Sophos Email uses the latest anti-malware and phishingdetection technology that constantly updates to detect the latest threats. You get phishing and impostor email detection with support for SPF anti-spoofing. Simply secure Microsoft Exchange, Office 365, and G Suite Shifting your email to the cloud doesn't mean you have to reduce your security. Securing your email server or service with Sophos Email ensures you get trusted email security powered by the SophosLabs global network. And, you get the reassurance of continuity in the event of disruption to Microsoft or Google services. Say goodbye to spam and unwanted mail Our reputation filtering blocks over 99% of spam at the gateway, and our anti-spam engine catches the rest, including the latest phishing attacks, and snowshoe spam. Ensure your email is always on When your email server experiences an outage or there's a disruption to a cloud-based service, Sophos Email automatically queues all incoming mail until the server comes back online. When the service comes back online, all queued mail is delivered, safe and sound. You get automatic alerts, spooling to ensure no mail is ever lost, and an emergency inbox to keep your users productive. Reporting on-demand Simplify your life and view email security status alongside endpoint, mobile, web, and wireless in Sophos Central. Our mobile-optimized portal allows email administrators to view dashboard summary information at a glance, including the number of emails scanned, as well as total spam and viruses detected. Empower users with the self-service portal Our self-service user portal lets users access and manage their email quarantine, allowing them to release messages inadvertently marked as spam. They can also create and manage email-sender allow/block lists to manage their own security. Sophos Email is part of Sophos Central Simplify your life with a single pane-of-glass for all your security. Sophos Central lets you manage email alongside endpoint, web, wireless, and more all through a single, unified console. You get a single up-to-date, Sophos-hosted platform that’s simple and intuitive. Simple, effective management We’ve optimized all the daily workflow routines, not only making them intuitive, but also by streamlining the whole process. A simple slide bar lets you set the content filtering threshold. You are never more than a few clicks away from adjusting a policy or running a report. 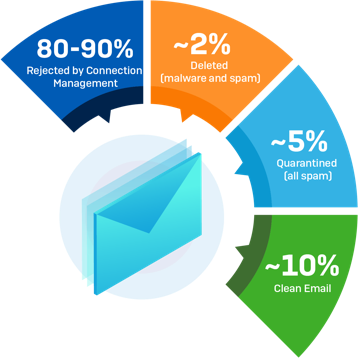 Sophos Email is email security delivered simply through Sophos Central's easy-to-use single management console, protecting your users from unwanted and malicious email threats today, and tomorrow, with the latest artificial intelligence to defend against ransomware and zero-day malware. The latest enhancements to the Sophos Email go further, preventing outbound email data loss and inbound malware threats; synchronizing defenses with Sophos Endpoint and Phish Threat to respond to email threats inside your organization; and enhance reporting and policy control to provide greater visibility. 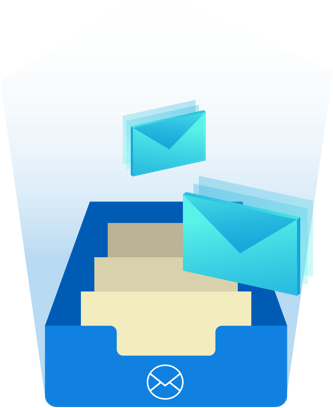 Sophos Email Advanced Content Control makes it easy to analyze email content and attachments for all inbound and outbound messages. Control sensitive information leaving the organization by scanning all emails for keywords and file types. Superior malware protection blocks hidden threats that use forged file names to look safe, analyzing multiple attributes of a file to detect the true identity. Automate phishing imposter defenses with keyword filters to block or quarantine sent emails and remove attachments displaying sensitive keywords in the file name. Secure sensitive data and make compliance easy, with easy-to-use secure email encryption from Sophos. Converting a standard email into one with encrypted attachments - sent direct to the recipient's inbox. Send secure messages fast - using the O365 add-in button, or by adding the organisations custom subject line tag to the message i.e. "Secure: ***"
Link Sophos Email and Sophos Endpoint to automatically detect and clean up infected computers sending outbound spam and viruses. Thanks to its shared user list, Sophos Central is now able to link mailboxes protected by Sophos Email with the associated computers protected by Sophos Endpoint security. Once linked, if Sophos Email detects five or more spam or virus emails sent in 10 minutes, the mailbox is automatically blocked while an endpoint scan is carried out and the infection removed, and alerts shared via Sophos Central. Link Sophos Email and Phish Threat to identify risky user behavior and launch targeted security awareness training. 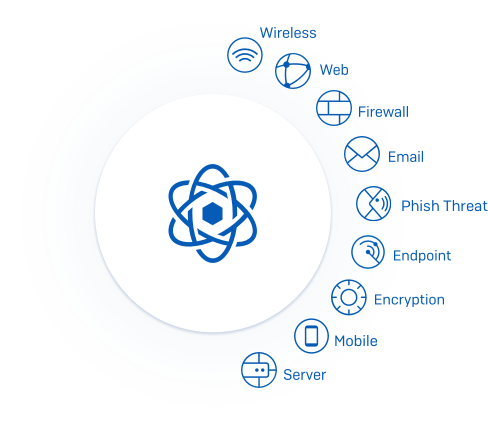 The new Sophos Email Advanced 'At Risk Users' report highlights exactly which users are clicking email links re-written by Time-of-Click URL protection. This identifies users who have either been warned or blocked from visiting a website due to its risk profile. You're then simply one click from the report to enroll users in Phish Threat simulations and security awareness training - increasing their threat awareness and reducing risk. Added in August 2018, new detailed message summaries, mailbox search and policy enhancements makes Sophos Email even more valuable to email administrators. Finding specific user mailboxes is now a simple task with the new Mailbox Search feature within the 'Mailboxes' menu option. While improvements to the Allow and Block Senders policy now allow you to specify specific IP address entries and wildcards, including country level domains such as.co. Expanding your policy control from specific email addresses or domains for inbound or outbound messages. Today's email threats move fast, and growing businesses need predictive email security - defeating today's threats with an eye on tomorrow. The same technology as our award-winning Intercept X, the artificial intelligence built into Sophos Email sandboxing is a deep learning neural network, able to detect both known and unknown malware, as well as unwanted applications before they execute. Detonating files in series of virtual machines, we simulate real end user environments where behavior can be monitored, delivering you safe attachments. Time-of-click URL protection checks the website reputation of email links before delivery and also when you click - blocking stealthy, delayed attacks. Block phishing imposters and protect employees from attacks using fraudulent email addresses that impersonate trusted contacts. A combination of SPF, DKIM, and DMARC authentication techniques and email header analysis allows you to identify and permit legitimate emails, while blocking imposters - so you can trust your inbox again. Microsoft Office 365 security features often don't live up to expectations. Great collaboration needs great security, and Sophos Email provides a simple solution. Advanced email security with simple management doesn't stop at Sophos Email in the cloud. The Sophos Email Appliance offers all-in-one control of encryption, DLP, anti-spam, and advanced threat protection. Available as dedicated hardware or virtual machine to suite your business. Processing five million emails per day, SophosLabs global network ensures your Sophos Email gateway won't miss any of the thousands of new threats discovered every hour. Sophos Email is integrated into Sophos Central, the intuitive cloud-based console for managing all your Sophos products. Only Sophos Central lets you build and manage multiple lines of defense from email-borne threats. This includes secure email, employee phishing simulation and training, plus next gen Endpoint protection, all from a single mobile-optimized portal. Your mailbox is more valuable than ever to attackers, with 93% of company security breaches now starting with a phishing email. Whether users are targeted to receive phishing emails, or they have their mailbox compromised to send spam and viruses from your organizations domain, the risks to your organization are great. Sophos Email is email security delivered simply through Sophos Central's easy-to-use single management console, protecting your people from unwanted and malicious email threats today, and tomorrow, with the latest artificial intelligence to protect against ransomware and zero-day malware. Compromised mailbox detection: Link Sophos Email and Sophos Endpoint to automatically detect and clean up infected computers sending outbound spam and viruses. Identify and train at-risk users: Link Sophos Email and Phish Threat to identify risky user behavior and launch targeted security awareness training. Your computer is often the key to your mailbox. When an attacker steals credentials to that computer, or infects it with malware, you can soon find your mailbox responsible for sending spam or viruses. This malicious activity can impact your reputation as an email sender, leading to blocked messages, and damaging your reputation as a trusted business. That's why Sophos Synchronized Security now connects Sophos Email with Sophos Endpoint, delivering automatic detection and cleanup of infected computers sending outbound spam and viruses. 50% of employees admit clicking on an email link from an unknown sender in the last six months that turned out to be a virus or scam. Regular attack simulations and security awareness training make all the difference, with existing Phish Threat customers able to reduce susceptibility to attack by 31% in just four tests (opening and clicking). But while you train all users on the latest cyber threats, how do you find and train the weakest links in your organization? Those who exhibit the riskiest behavior? Deployment requires a simple MX record change to route email through Sophos Central. You can simply bring in users and their mailboxes with our handy Azure and on-premises Active Directory synchronization tools. Priced per user with bands from 5 to 5000+, Sophos Email keeps things simple so you can focus on protecting your business, data, and employees. Sophos Email protects and manages your email in the cloud through Sophos Central. G Suite from Google Cloud Support is not limited to just these platforms. If your service is not listed, please check with Sophos to see if your platform can be supported. Getting started is easy Deployment requires a simple MX record change to route email through Sophos Central. 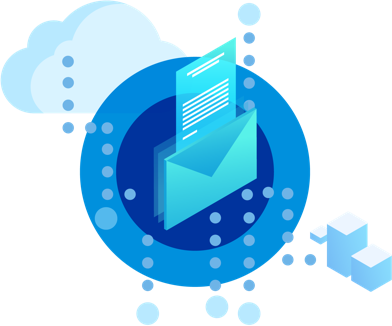 It works with any local email server, and you can simply bring in users and their mailboxes with our handy Azure and on premise Active Directory synchronization tools. How to buy Sophos Email offers enterprise-grade email protection integrated into Sophos Central. Licenses are priced per user with annual subscriptions. Download the Sophos Email Data Sheet (PDF). Download the Sophos Email What's New Fact Sheet (PDF). Download the Sophos Email and Synchronized Security Data Sheet (PDF). Includes: Managed from Sophos Central, Sophos Email blocks phishing attacks and provides multi-layer spam and malware detection, along with Active Directory Synchronization, emergency inbox and end user self-service portal.